Royal Johannesburg: A carefully planned fleet replacement programme over the past five years – facilitated by close consultation between supplier, Smith Power Equipment, and client – has helped retain the legendary repute that The Royal Johannesburg and Kensington Golf Course has always been renowned for throughout its rich, century-long golfing history in South Africa. 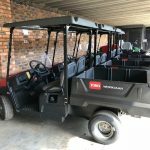 Situated northwest of Johannesburg’s hustling city centre sets one of the most famed golf clubs in South African history – The Royal Johannesburg and Kensington Golf. 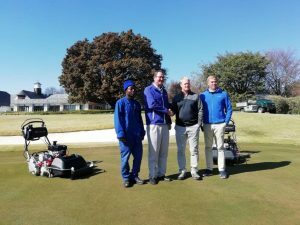 In over a century of South African golfing history, few clubs, if any, are able to replicate a heritage like that of the Royal Johannesburg & Kensington Golf Club. 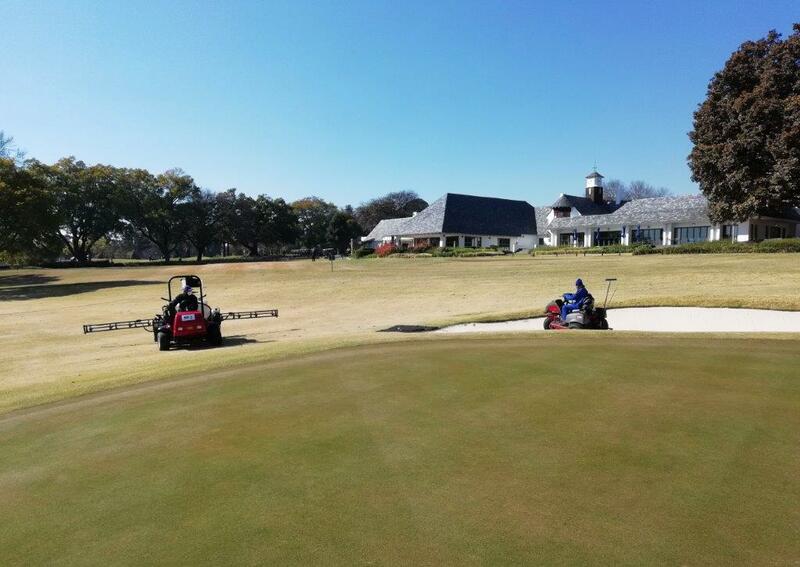 The East Course has gone on to host no less than seven South African Opens and has played host to a large number of other significant national and international events. The West Course, though not as highly rated, is still considered a first-rate South African course and is preferred by many of the clubs members because of its ease of playability. “The merger of the two clubs in 1998 created a financially sound entity that allowed for the improvements to the clubhouse and the two courses. 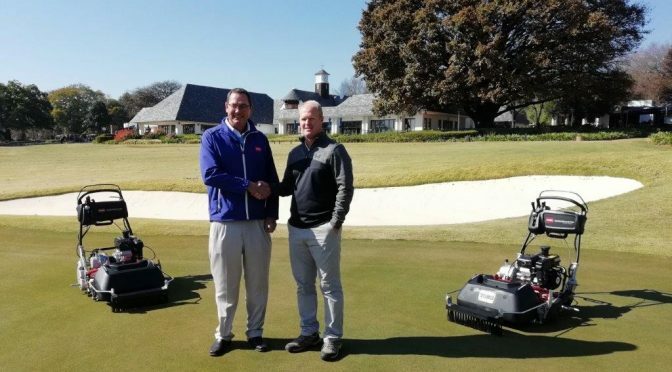 The result is a superb 36-hole facility, with two outstanding parkland golf courses ideally suited to meet the golfing needs of the 21st century,” explains Shaun Brits, Course Manager at The Royal Johannesburg and Kensington Golf Course. There were several priorities on the management’s to-do list when they walked in. 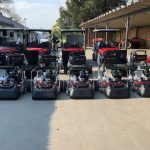 “We looked at every element of the business and there were several aspects that needed a fresh approach and some realignment to keep up with current and modern golf clubs,” says Brits. 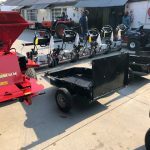 Top of the new management team’s agenda was the equipment – a key enabler in giving the members the playability they desire from their course. 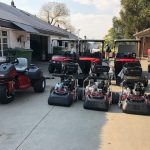 When Brits and the new management team walked in, for several reasons, the club had deferred its equipment replacement programme. 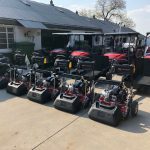 Bruce Chambers, Sales – Toro and Club Car Divisions at Smith Power Equipment, recalls the early days when Brits and him started looking at replenishing the old equipment, which was at the time, about three years past its replacement cycle. 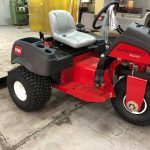 “About five years ago when we started to talk to Royal, a lot of their equipment was getting too old and obviously downtime and rising repair bills made the equipment inefficient,” says Chambers. In close consultation, Brits and Chambers came up with a fleet replacement programme. 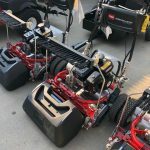 “Fleet replacement is not something that you just decide to do, it takes literally a year of planning and getting the kit approved. To outline the accomplishments of specific annual goals over the years, I would say consistently over the past four years, Royal has purchased and basically replaced 90% of its kit over that period,” says Chambers. As a result, every year for the past four years, Royal has religiously invested in equipment, earmarking priority, and obviously age. 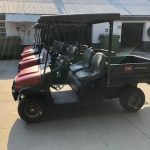 “There were certain things that we felt could be kept going, but certain items had to be replaced immediately, and that’s how we have progressed up until the last and recent equipment delivery in June this year,” says Chambers. Brits further reiterates that relationships of this nature don’t come by every day. He is of the view that often buying decisions are influenced by price, but there is more to consider than just price. “I think many in our industry look at price first, but for me, there is more to a buying decision than just price. 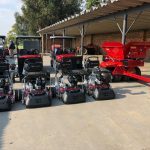 When it comes to Toro and Smith Power, we really believe we are getting ‘value’ for money in every sense of the word,” concludes Brits. This article was featured on Retail Brief Africa [click here]. 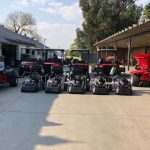 This article was featured in the Tee and Sandwedges – August 2018.